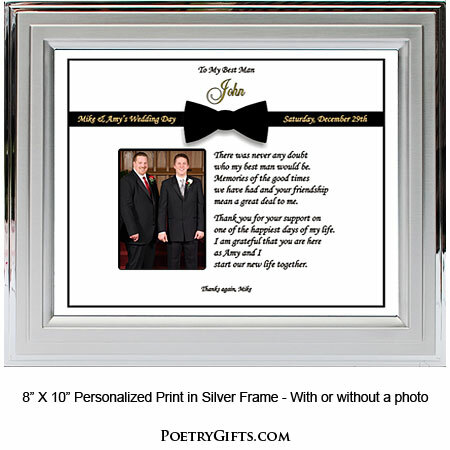 Here's a gift that your Best Man will love receiving. 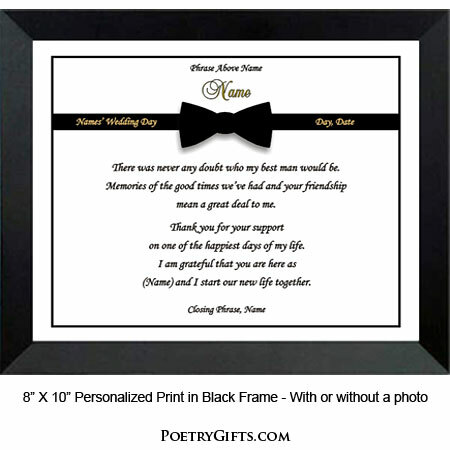 Besides showing him how much you appreciate his participation in your wedding ceremony, it also makes a wonderful way to display a photo from the wedding. 4. 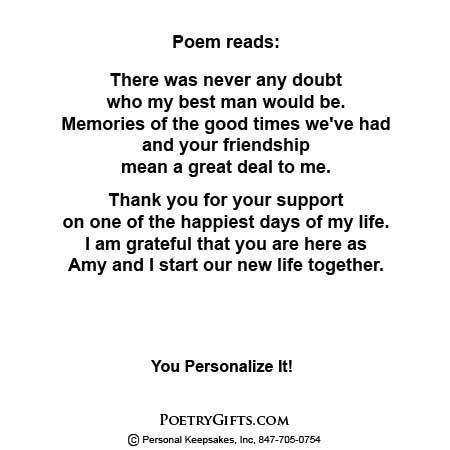 Closing Phrase and Your Name (as seen after poem) - (Examples: With Love, Mike; Thanks again, Kevin; Thanks For Always Being There, Joe; etc.)" 5. 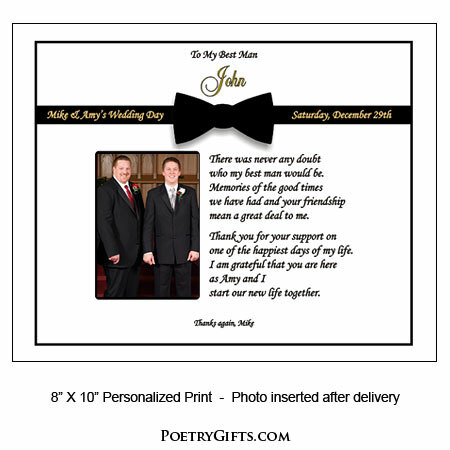 Phrase and Wedding Date as seen in the bow tie and written in gold colored type - (Example: Mark & Molly's Wedding Day - Saturday, June 15th)"